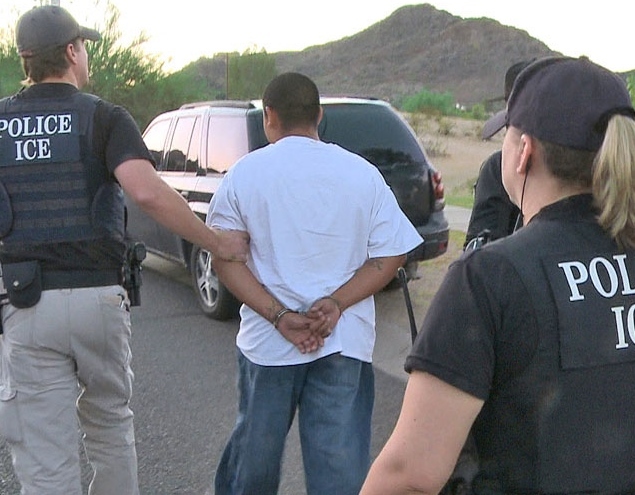 Obama Administration Releases Criminal Illegal Aliens in Advance of Sequestration - Incompetence or Propaganda? This week the Obama Administration released illegal immigrants who were being held in custody pending deportation hearings in advance of the looming sequestration. Is this just another propaganda move to put pressure on Congress to act? Or is it yet another example of the sheer incompetence of this Administration. Remember, no budgets have been cut as of this time. Even after the sequestration, there is no cut to the federal budget, only a cut to the rate of increase of the budget. So why are they releasing prisoners from jail? The President wants you to believe that some low level bureaucrat at the Immigrations and Customs Enforcement Bureau simply decided, on their own, to release these prisoners now... just in case their budget might possibly someday perhaps get cut, and they might need to release prisoners. WHAT??!! "This was a decision made by career officials at ICE without any input from the White House, as a result of fiscal uncertainty over the continuing resolution, as well as possible sequestration," White House press secretary Jay Carney said Wednesday. There used to be a time in this country when the presidents would take responsibility for what happens under their supervision. President Harry S. Truman said, "The buck stops here." With President Obama it's more like "Buck, what buck. We never saw any buck. That was someone else's fault, don't blame me!" Carney went on, reading a carefully prepared statement in response to a "spontaneous" question from the lapdog liberal media, to say that this was only a few hundred prisoners out of over 30,000 being held in ICE facilities and that they were low risk, non-criminal detainees. He also stated the released prisoners would continue to be monitored by "less expensive" means and are still subject to deportation. Congressman Ted Poe (R-TX) called the decision by ICE employees "a government organized jail-break". See his comments with Fox News Channel's Gretta VanSusteren as the former criminal cort judge goes "On the Record". The sad thing is all of this comes at a time when we are making progress on solving the real problem of illegal immigration through a reasonable and sensible immigration reform program like the one proposed by Florida Senator Marco Rubio. Of course, the Obama Administration is not at all interested in actually solving this problem. They need it as a campaign issue for 2014. Trust in government will be a critical component in selling any immigration reform program to the American people and especially to conservative Republicans. The public will need to be able to believe that new laws on immigration and border security will be followed and enforced. Rogue actions, like this taken by ICE officials, weakens public confidence in the government and makes it that much more likely that immigration reform will fail.